Ever tightening emission regulations and the increasing role and unpredictability of renewable power generation in certain markets is impacting the way gas fired power plants operate. Many gas units are now operating on non-design variable duty cycles forcing power producers to look at the impact on overall unit efficiency, reliability, emission compliance and SCR system performance. The impact of cyclic operation on units with SCR may cause increased ammonia slip and NOx emissions, ammonia sulfate and bisulfate or bisulfite salt formation causing corrosion, increased pressure drop, tube cleaning costs, and ammonia usage. As a result, more than even before, the best practices for preventative maintenance, unit efficiency including SCR inspection and testing must be evaluated, and in some cases adjusted. Concord Environmental has many years of extensive design and field experience on combined cycle and simple cycle units manufactured by all major SCR system integrators and HRSG OEMs. They have incorporated this knowledge and experience into new Concord SCR systems. 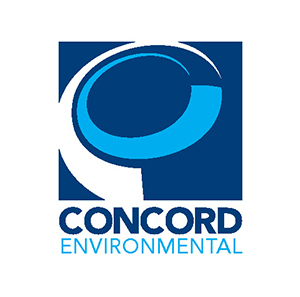 Concord Environmental also provides in-depth analysis of your existing SCR system needed for high reliability and unit efficiency. This includes helping you develop the right preventative maintenance plan including inspection procedures, catalyst testing, modeling, and if needed, component redesign. Bill is Engineering Director of Concords Environmental business unit. Bill has over 25 years of experience in the air pollution control industry specializing in the design of SCR systems for coal-fired boilers, simple cycle or HRSG systems, SCR and CO catalyst, electrostatic precipitators, fabric filters and FGD systems. His expertise includes SCR systems and gas flow modeling of air pollution control equipment. Bill is recognized as an expert in the air pollution control industry. He holds two patents for ammonia vaporization equipment designs for SCR systems and is a licensed Professional Engineer in New Jersey. He holds a BSME from Penn State University and MSME from Lehigh University.